Some days you long for a deserted, isolated beach, without another soul for miles around. 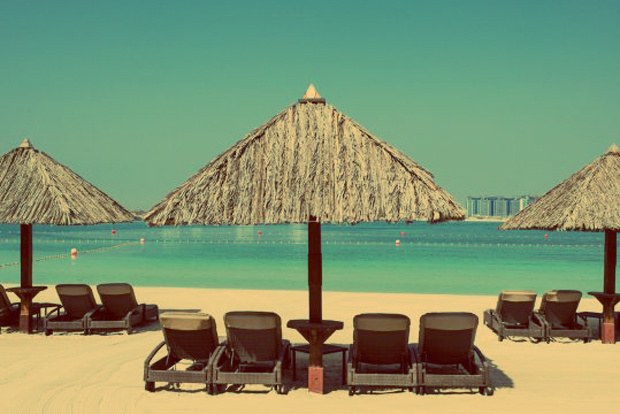 Others, you just want a little bit of civilisation, a beach lounger, music, an umbrella and maybe a cool beer, a crisp wine or a classy cocktail. So we’ve picked 10 of our favourite beach bars from around the world- everything from rustic wooden shacks and city-side oases, to over-the-top luxury clubs. So pull up a deckchair, throw on your best bathing suit and jump into summer. 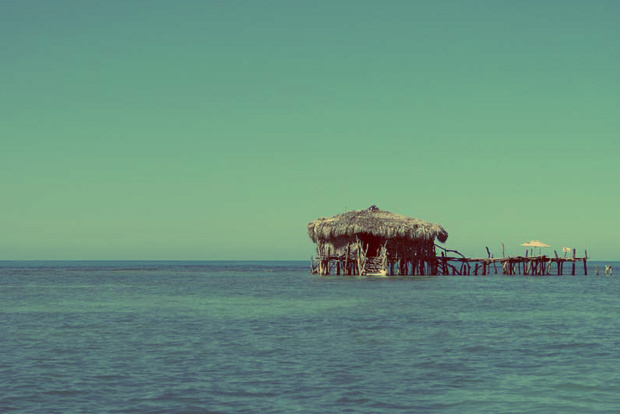 Resting on stilts on a sand bank off the shore of Treasure Beach, Pelican Bar looks like something straight out of the Pirates of the Caribbean franchise. A short boat ride from the coast, this little piece of rugged Jamaican paradise is the perfect place to do a whole lot of nothing. Sunbathe, swim in the shallow waters, eat fresh fried fish or wash everything down with a beer or rum punch. The interior is covered in flags, license plates, t-shirts and various knickknacks left by visitors from all over the world so make sure you bring your own little something to leave behind. The river’s edge in post-industrial Berlin doesn’t exactly spring to mind when you think of an eye-catching sandy Riviera. But that is exactly what you’ll find every summer along the river Spree. 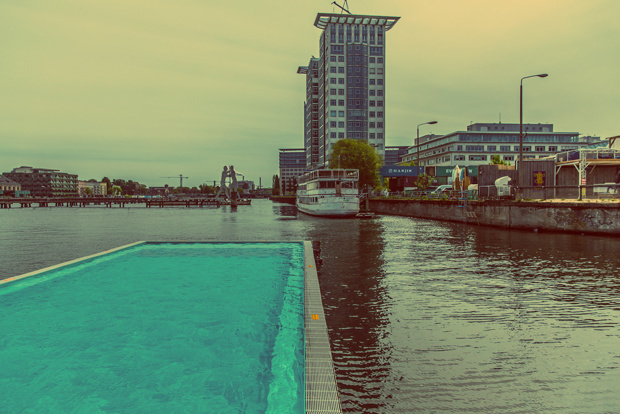 Together with sandy beach and open-air bar, Berlin’s floating ‘beach’ Badeschiff has become a city landmark and a draw card for visitors and locals alike. In summer, DJs spin the latest tracks while locals sip ice cold beverages and make the most of the sun. But the Badeschiff isn’t just for summer. In winter, the area is transformed into a wellness retreat with two saunas, heated pool and bar. Built in 1823, Ty Coch started life as a vicarage before it was opened as an inn in 1842 to feed the hungry (and thirsty) shipbuilders who worked on the beach. The Inn has a prime location on the sweeping Welsh seaside, with views across to Yr Eifl and Snowdonia. Porthdinllaen is a small coastal village on the Llŷn Peninsula and has been owned by the National Trust since 1994. There are only about two dozen buildings in Porthdinllaen, with Ty Coch at the centre of the village. 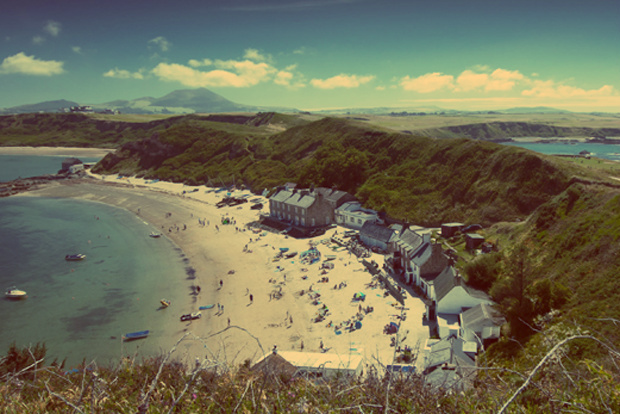 Only locals have vehicle access to the Inn, so visitors must walk across the beach from Morfa Nefyn or across the golf course on top of the headland to reach Ty Coch. Relax, unwind, pull up a pew, grab a pint, breathe in the sea air and watch the waves come in. Hayman Island is the most northerly of the pristine Whitsunday Islands off the coast of Queensland and, though it’s a private island, everyone is welcome to visit. The Hayman luxury resort is the only structure on this small island – it’s just 400 hectares in size – and is surrounded with bush walks and idyllic, deserted beaches. 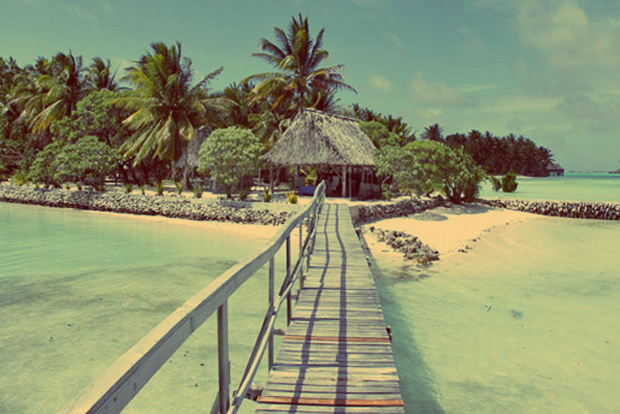 But if you’re looking for something truly special, the Resort’s Beach Pavilion is the place to be. Open to the public and resort guests, enjoy a beer, cocktails, or a glass of award-winning Australian wine right on the beach while taking in the breath-taking view of the Coral Sea. If you’re looking to kick-back and enjoy the simple things in life while gazing over a sparkling turquoise lagoon then Tabon te Keekee, Kiribati is the destination for you. Enjoy a beverage in Tabon te Keekee’s family-run, traditionally thatched buias (bungalows), swim in the clear waters, or just chill out island-style in a hammock or lounge chair. Making for an even more magical experience, visitors arrive at Tabon te Keekee via a short ride in a traditional canon. Dance barefoot in the white sands of Jumeira Beach at the award-winning Barasti bar in Dubai. Overlooking the Arabian Sea, the lively Barasti has become a popular stop on the Dubai social scene offering music, food and delicious cocktails. The perfect spot whatever time of day – lounge around when the sun is up, grab a bite to eat, watch the sunset, and then party through the night. 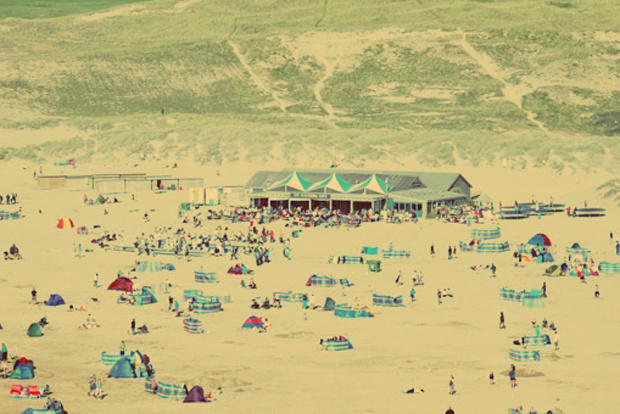 Dubbed the only bar on a beach in the UK, the Watering Hole is found on the sunny surfer’s paradise of Perranporth Beach, Cornwall. When the sun is up and the surfers are out, you’ll feel like you’ve been transported to the California coast or a Southern Hemisphere shoreline. The ruggedly beautiful Perranporth Beach has been a favourite with travellers for decades and won a number of traveller’s choice awards. The Watering Hole has been operating on the site, in various forms, since the 1970s and the friendly, relaxed atmosphere have made it popular with visitors and locals alike. The dress code is flip-flops, the cider is cold and the music is live so make sure to leave all formalities at the door and get ready to chill. Live music, multilevel bars, Sunday church, the Mullet Toss – don’t expect a quiet or subdued outing at this rowdy, but brilliantly fun, beachside bar. 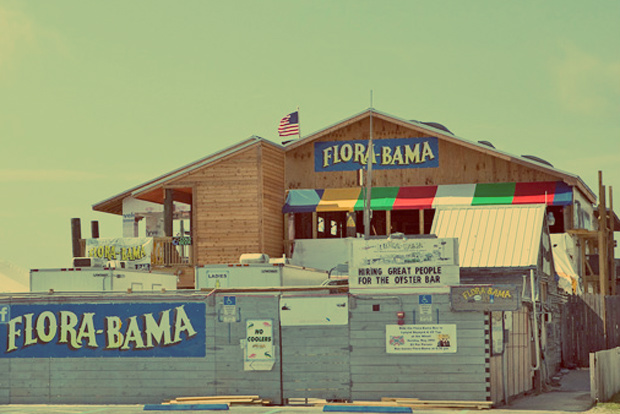 The Flora-Bama Lounge and Package (the Bama to the locals) is found on Perdido Key in Pensacola, Florida. A Gulf Coast cultural landmark, it’s known as America’s last great roadhouse. The Flora-Bama takes its name from its location near the state line between Florida and Alabama – officially in Florida, it lays a mere six feet from Alabama. When Flora-Bama opened in 1964, Florida was a “wet” area a while across the line in Baldwin County, Alabama, was “dry.” No wonder it quickly became a popular stop for thirsty travellers! While you’re there, make sure you sample the local Bushwacker beverage – a frozen rum-based concoction with a chocolaty, piña colada flavor (President Obama has even been snapped with one!). Right in the heart of the spectacular Bay of Kotor in the Adriatic Sea, Purobeach Porto Montenegro is a truly luxurious setting for you to unwind and soak up the sun. 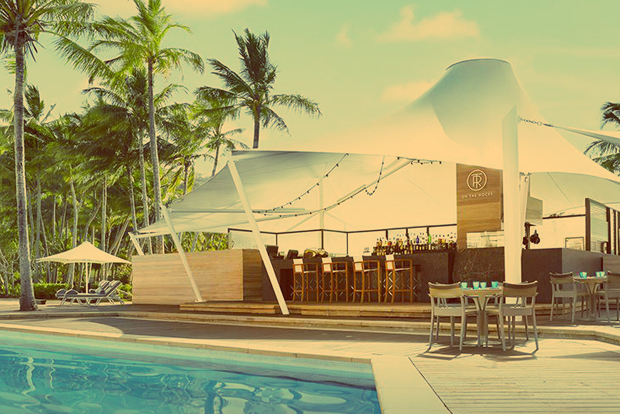 Kicking back in Purobeach’s minimalist surroundings and contemporary decor will make you feel like a million dollars. DJs spin the latest chill-out tracks from early afternoon until the wee-small hours while guests relax on terrace sunbeds, inviting low sofas and an infinity pool that looks as though it’s spilling right into the sea. Looking out onto the busy V&A Waterfront and against a backdrop of Cape Town’s iconic Table Mountain, Shimmy Beach Club is the city’s newest ocean-front destination. Shimmy’s large outside deck offers panoramic sea views and a 43-foot bar. Simply watch the ships glide in and out of the busy harbor and, if you’re lucky, you may even catch a glimpse of a whale or two during migration season. For an even better view, watch the world go by from the bar’s 72-foot infinity pool (it’s heated in winter). Book ahead and reserve one of Shimmy’s lounge chairs (R100/£6 per day) and enjoy drinks while soaking up the sun around the pool. A beach towel is included with your lounger chair, and changing rooms and showers are available.